It’s triangle K in the States all over except Ralbag is far more respected, yet also not accepted, by Rov Minyan and Binyan of frum kosher consumers and authorities. I am concerned that Meir is losing it. His family and friends need to help him. Rennet from non-kosher animals is kosher. Food from factories that have not been visited by a mashgiach is kosher. Unverified ingredients used in “vegetarian” eateries are kosher. Laffa matzah with normal, non-Pesachdik flour is kosher for Pesach. All meat from a supposed “Ben Pakuah” animal is sold commercially, despite halachic arguments forbidding the gid and cheilev. Halachic enquiries aren’t responded to or responses employ obfuscation. Letters of approbation are obtained under false pretenses and not removed from the website despite their disavowal by the authors. And now the “authority” behind these “innovations” has the gall to issue a media release attacking Kosher Australia for supposed “halachic irregularities”?! do you have a copy of the press release? It’s not fake. He posted it on his Facebook page. Okay, thanks. I don’t use Facebook or twitter and my blood pressure would just go up if I went to M. Gershon Rabi’s site. Someone should ask him if it’s permitted to pray in Shira Chadasha, and if it’s permitted to lead services there. I dare you. He will weasel an answer which you can’t decipher. He will quote opinions but will NOT tell you his own Psak. There is no business there. what was he actually asserting? Defamatory? I should add, I trust the OU more than the Badatz, but let’s not go there. I also fully support Rabbi Stern’s upheaval of Kashrus Scamming in Yerusholayim. It was quite vague and would not be defamatory in the legal sense. 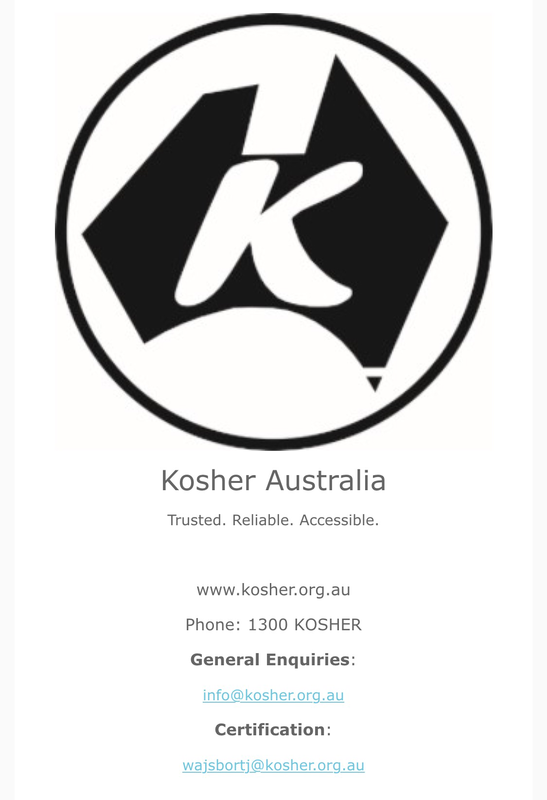 Of greater concern are IK’s assertions at http://www.kosherveyosher.com/critical-kosher-alert.html – IK is simply wrong about the KA in NSW (which in most cases does require a mashgiach temidi) and Kosher Australia has surveillance systems that are not referenced on the linked page. Look stop giving him oxygen. He runs a PRIVATE BUSINESS with investors! I’m not sure I agree with you in this regard Isaac. Whether it gives IK oxygen or not, IK needs to be outed for what it really is. All too many people are taken in by IK and its CEO – witness the strong interest in the Ben Pakuah farce (there has even been interest here in Sydney in ordering the BK meat). I would be happy to take a back seat and stop my public comments and emails on IK if the Melbourne rabbinate said what needed to be said. 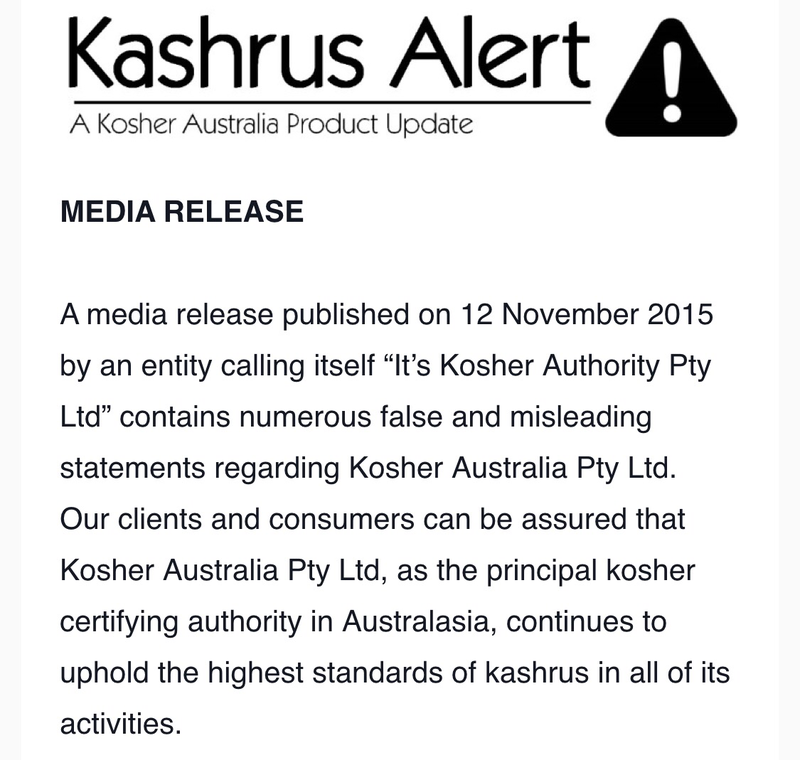 I simply do not understand why the halachic authority behind Kosher Australia does not publicly denounce IK for what it is. By contrast, the rabbinic administrator of the Kashrut Authority in NSW has been quite vocal in warning consumers about IK. 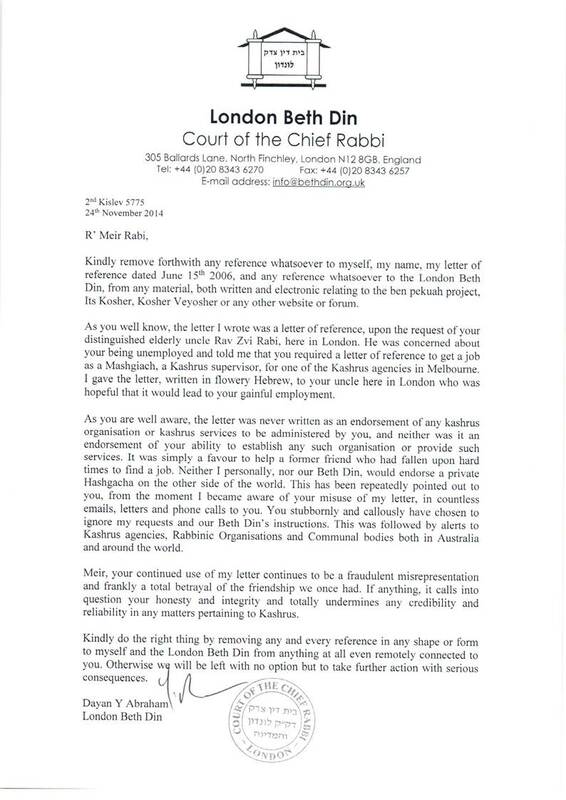 I am not sure if the K-Oz rabbi’s reluctance is a fear of being sued by IK for libel, or if he simply assumes that the layperson will – somehow – come to recognise what IK is of their own accord. Note that I have his written permission to share.